I like where Kelly Reichardt's headed with each of her films. I appreciate her intimate knowledge of the surroundings in her films. Night Moves is a moody character study with exceptionally written script and impeccable acting by three principals (Jesse Eisenberg, Dakota Fanning and Peter Sarsgaard). It concerns 3 eco-terrorists in Oregon, planning to blow up a dam. Because it's killing salmons. As one of the characters says that we don't need to check on our facebook or use our iphone every goddamn minute. We don't need another dam to generate electricity. But the politics of these peoples are peripheral. Reichardt shows that she is very much capable of doing a superb thriller - tension she creates from these characters paranoia and the act of going upstream to blow up the dam is extremely well realized. Everyone they encounter, every car passing by makes them extremely cautious. After all, the job is not a rewarding one. Those days of becoming a hero or martyr for the cause is over. In this day and age, activism as we all know, is mostly theoretical and isolated to taking small actions. These random acts of violence are carried out discreetly and unceremoniously by only few committed individuals who truly believe that they can shake the system and wake people up. You can't talk about your accomplishments, you have to keep a low profile, probably for the rest of your life. The fallout begins after the act. There is a camper missing after the dam break. Dena (Fanning) is guilt stricken and having anxiety related illness and keeps contacting Harmon (Sarsgaard), even though three of them agreed to not to talk with each other after the job. Harmon tells Josh (Eisenberg) to calm her down. Josh, having doubts about what they have done himself ('there are 21 other dams, blowing up one won't make any difference') gets even more paranoid about the prospect of Dena yapping to the authorities. 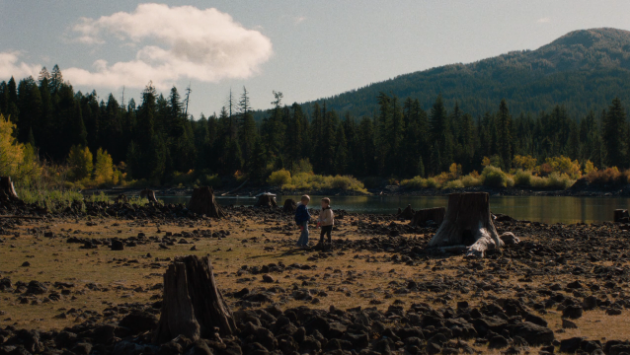 I know that Reichardt is a smart enough director not to blurt out an obvious message or anything. But the third act, the confrontation of Josh and Dena really didn't work for me. I also know that Reichardt's not into violence against women, but the whole sequence is pretty awkward. 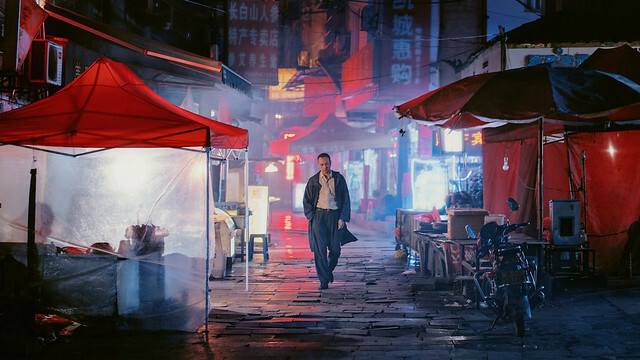 Even though the whole film is subtle, one would draw a conclusion that the film is about 'violence begets violence', instead of taking it as a fascinating character study. Yes it is unnecessary to have 23 golf courses in the middle of the desert community. We live in an excessive culture for sure. Knowing all these place and people who inhabit these parts of the world- Eugene, Bend, Lake of the Woods, Ashland, activist scene, communes, organic farming, I can tell you without any doubt that Reichardt has no disrespect for their political beliefs or way of living. But she is not the master of capturing the act of violence and murder. This is where her minimalistic approach hits the wall. Maybe I'm too critical of this one scene but I can't help noticing it, as it sticks out like a sore thumb.